Are you as excited as we are to see a new Avengers movie? We just can’t get enough of The Avengers movies! 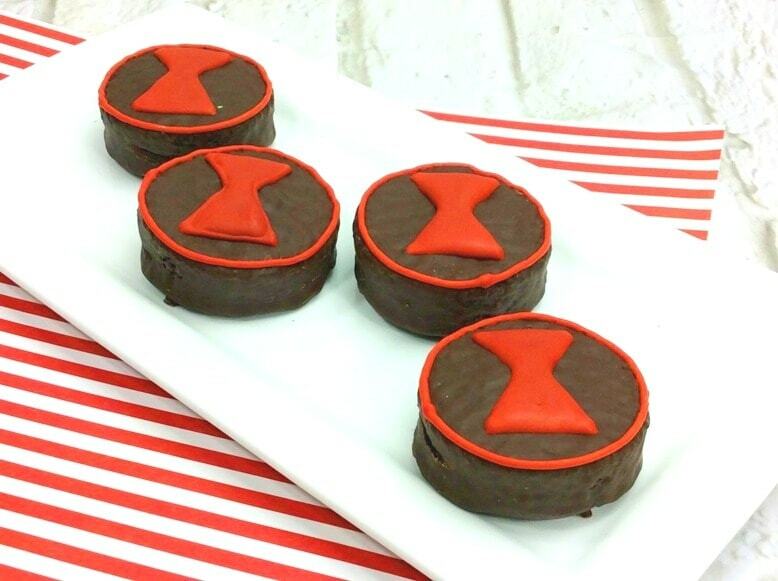 And we’re already looking for The Avengers party treats ideas! We love to make movie time a little more special, whether it’s watching a DVD at home for the millionth time or counting down to the next movie to see on the big screen. And especially with upcoming birthday parties – we’re on the hunt for cute Avengers party treats ideas and Marvel food ideas. While we love baking food for our families and special parties, we don’t have the time to make treats and snacks entirely from scratch anymore. Which is why we love semi-homemade recipes! 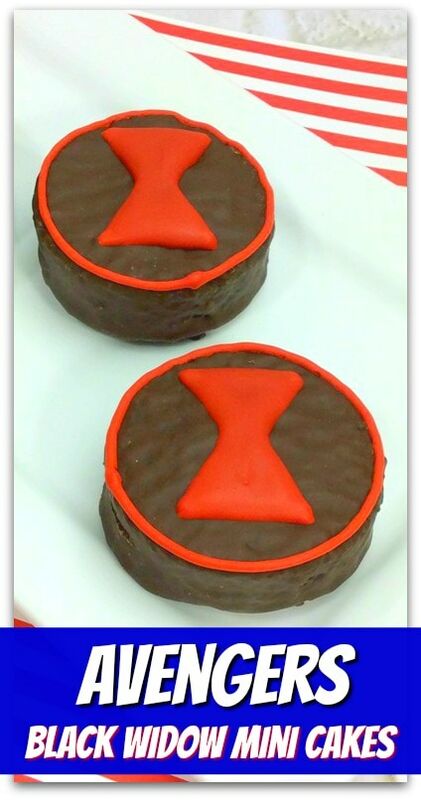 And this is a great one for Avengers Black Widow treats. They are the perfect EASY DIY Avengers party themed foods. 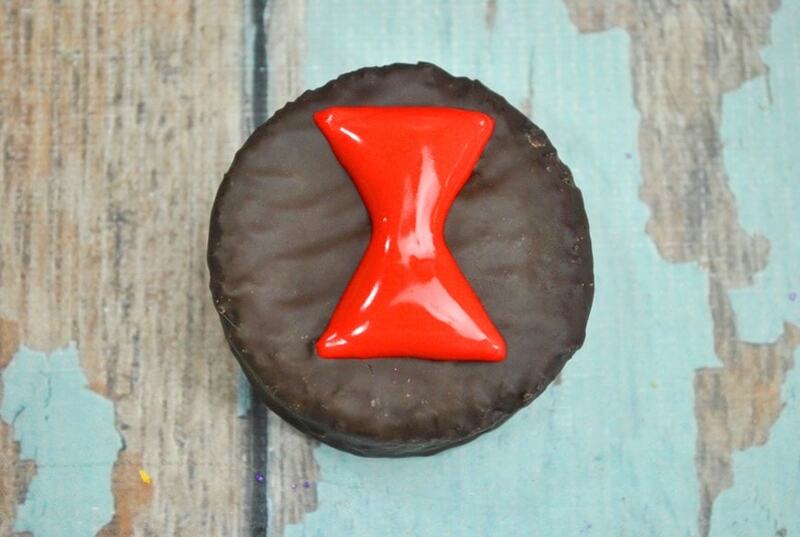 Using pre-made Ding Dong’s (a kid-friendly treat, for sure! 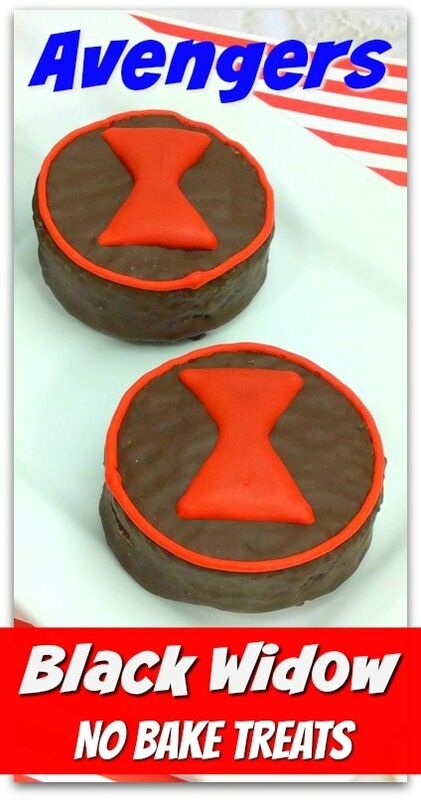 ), we customized the snacks to showcase the symbol of The Black Widow, a.k.a. Natalia “Natasha” Romanova. It’s a super easy recipe and you can even get older kids involved. Especially for a kid-friendly DIY cake decorating station at an Avengers themed party, or have the kids help you prepare for a Marvel themed party beforehand. 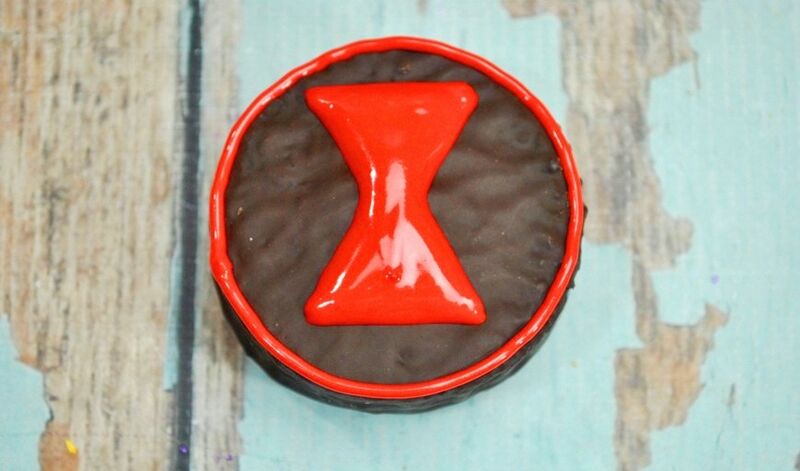 If you’re not planning an Avengers themed birthday party any time soon , these are also perfect for a fun after-school snack. 2. In a mixer, combine egg whites, cream of tarter, and powdered sugar. Mix on medium speed until stiff peaks form. This process will take about 7 minutes or so. 3. Mix in the red food dye and combine everything until completely red. Add in a few more drops of red food dye if the color isn’t a dark red. 4. Scoop the frosting into the piping bag. Pipe the outer line of an hour glass shape onto the top of the Ding Dong for the Black Widow’s logo. 5. 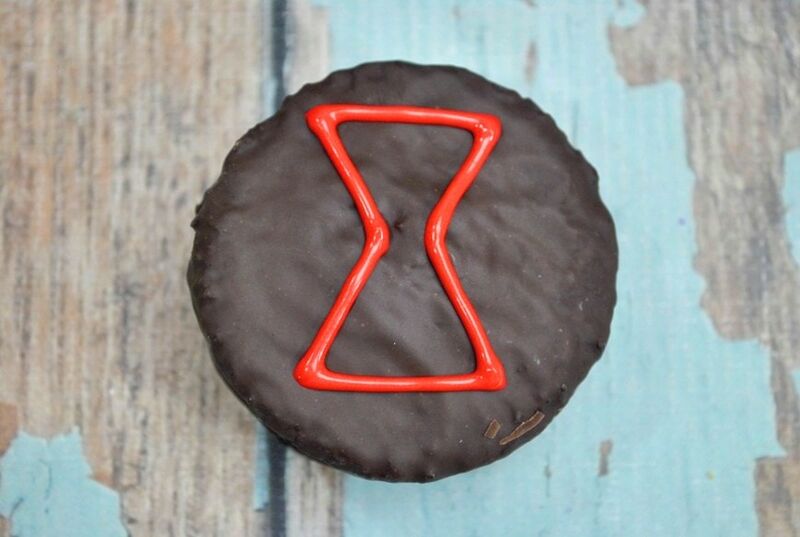 Fill in the hour glass shape with the red icing. 6. Use icing along the outer edge of the top of the Ding Dong.